The Light models included in the Combo are the more basic offerings of the full featured Hermes and Erebos products. 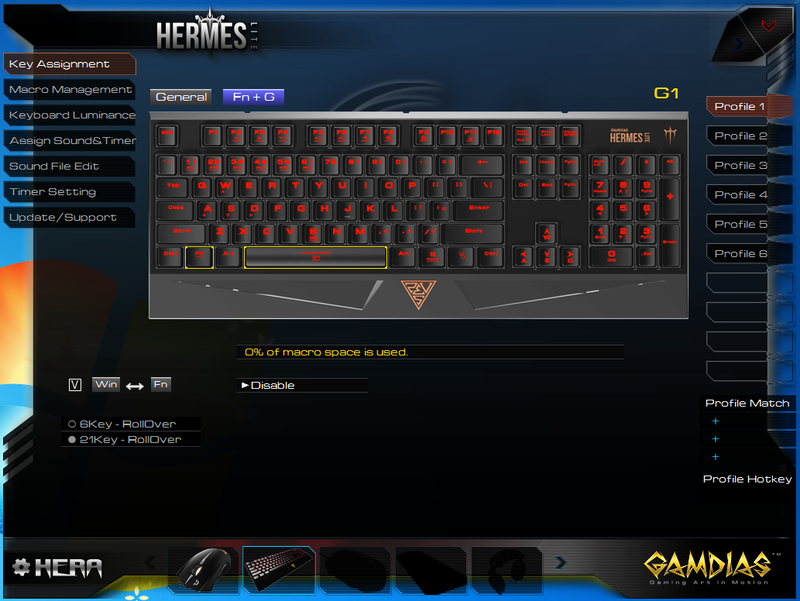 The full featured Hermes keyboard has multicolored illumination, not just Red like the lite model and the full featured Erebos comes with and adjustable side panel weight system. 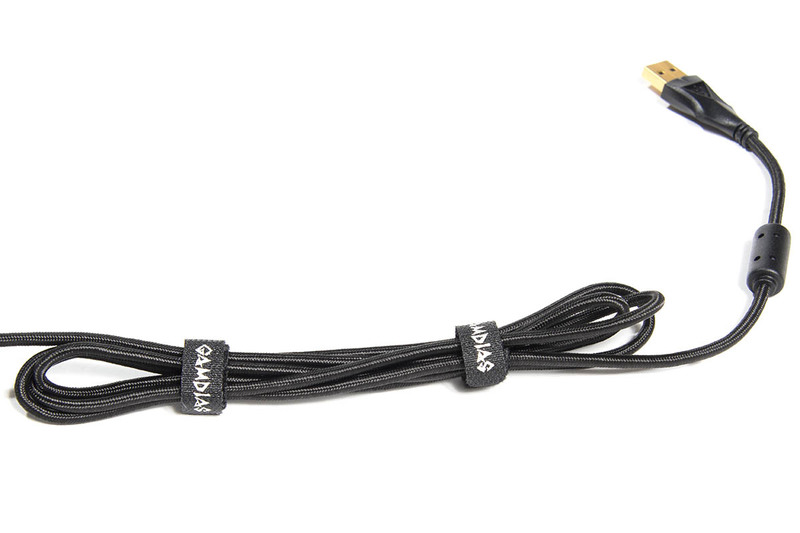 Like I’ve seen with all of the GAMDIAS products thus far, the Hermes and Erebos both have a nice light weight braided USB cable, something that I’ve mentioned a few times as a really nice feature that makes products stand out a lot. 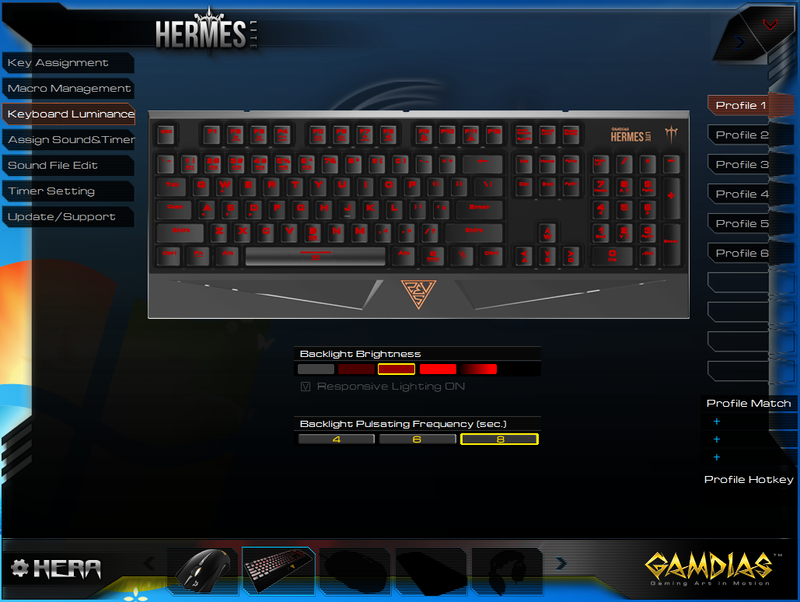 From a functional level the Hermes Lite keyboard is quite nice and full featured. 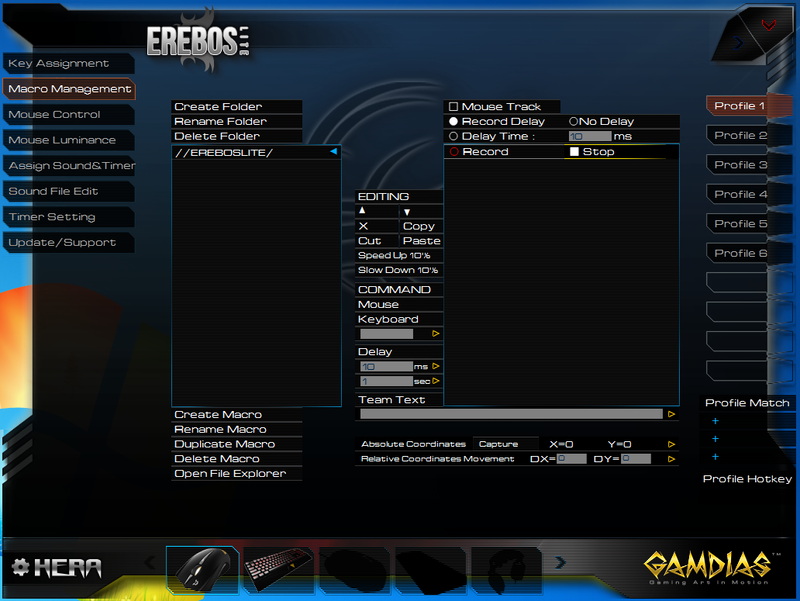 It offers a pretty large list of programability features including macros. 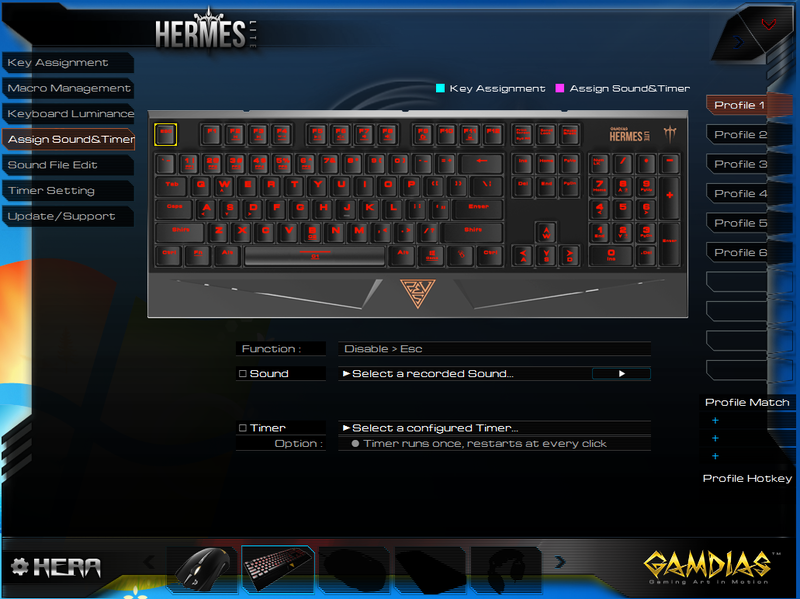 In fact the feature set is comparable with many much more expensive keyboards. 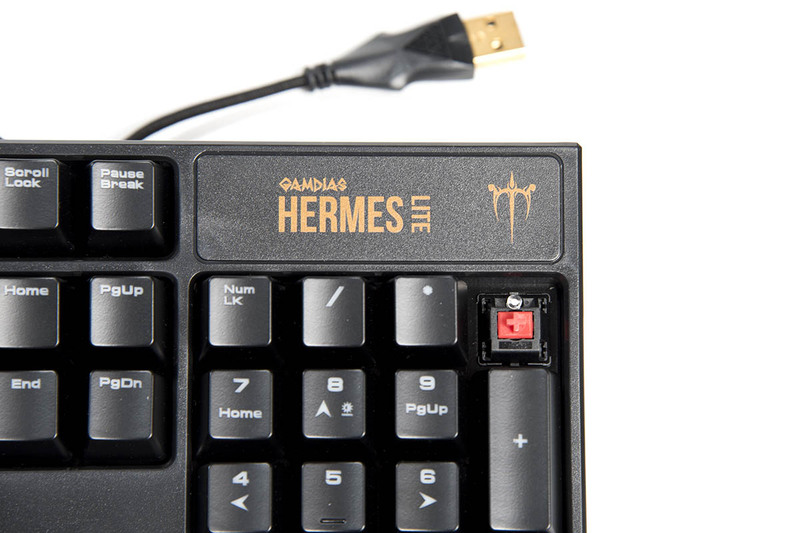 The Hermes uses TTC Red switches, they are softer and less snappy than Cherry switches, and thus they are also quite a bit quieter for typing. Something that if you end up having to do a lot of typing can be a nice thing. But, in general I like the snappiness of Cherry switches, but I really like that the TTC switches are a little quieter. I don’t feel that the TTC switches are less snappy in a way that would effect performance in any negative way, I’m not at any level where that minimal difference would make or break anything for gaming. My Corsair with Cherry MX Brown switches take about 2.1 oz of force on average to actuate the keys, and they are very snappy, as mentioned before. The TTC Red switches take about 1.8 oz of force on average and are a little less snappy. The overall construction of the keyboard is quite nice. It feels high quality and well made. The palm rest is built in and works OK for me, but it would be nice for it to be removable, in the cases where someone wouldn’t want it… But overall it’s a really nice package and a pretty darn good deal. 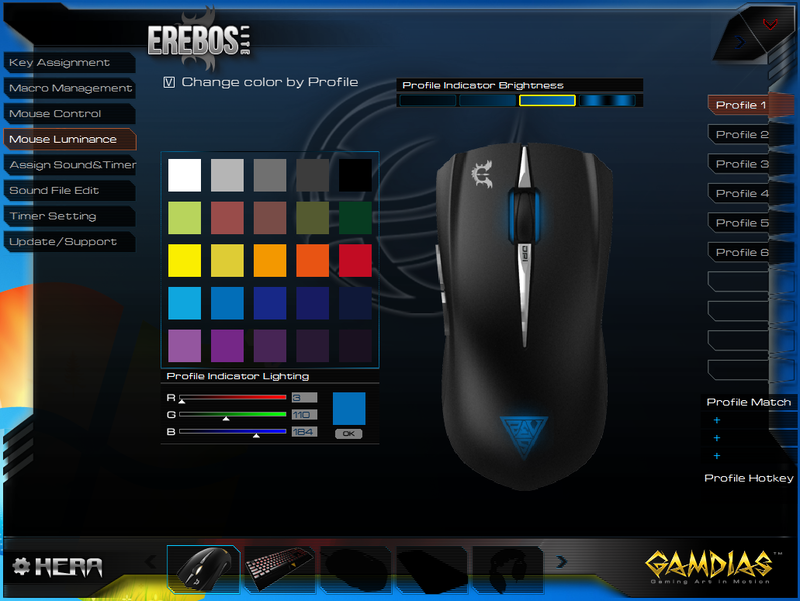 The Erebos Lite is a nice mouse. It’s simple, not really adjustable, and only has a basic set of buttons, but it’s a nice mouse. It gets the job done for the basics. It slides smoothly, the buttons are nice and clicky, and the scroll wheel works well. 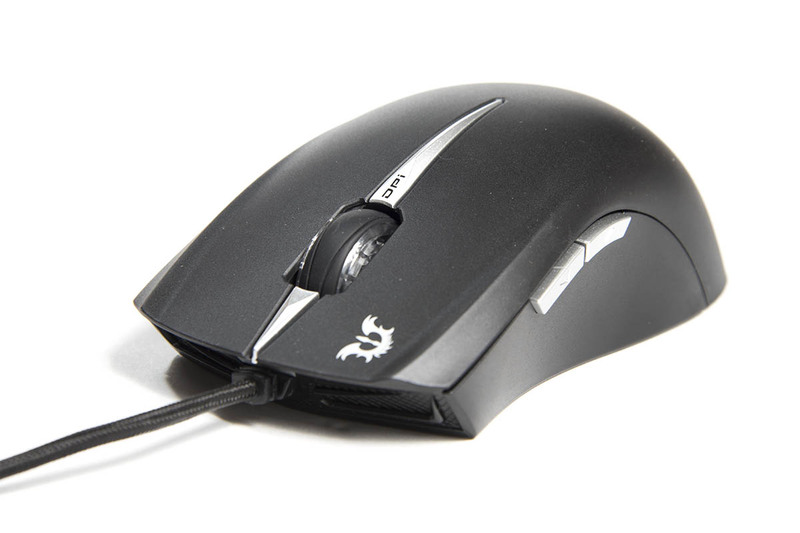 There is no free spin mode on the scroll wheel, but that’s generally more of a “high-end” feature for mice. 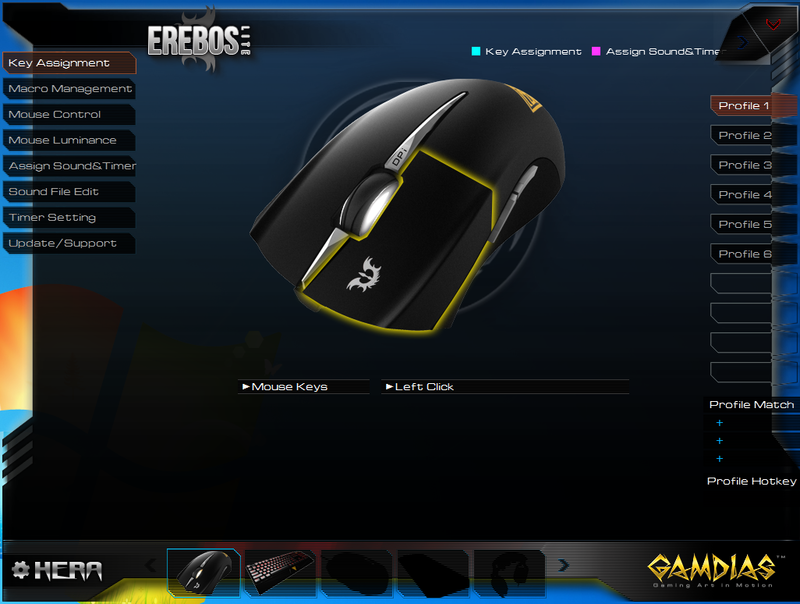 In reality I feel like the Erebos Lite is a good starter mouse, and is a god item for the package. And once you grow out of it, you can upgrade. But the mouse works well, and I’m going to stick to using it on one of my systems for the foreseeable future. 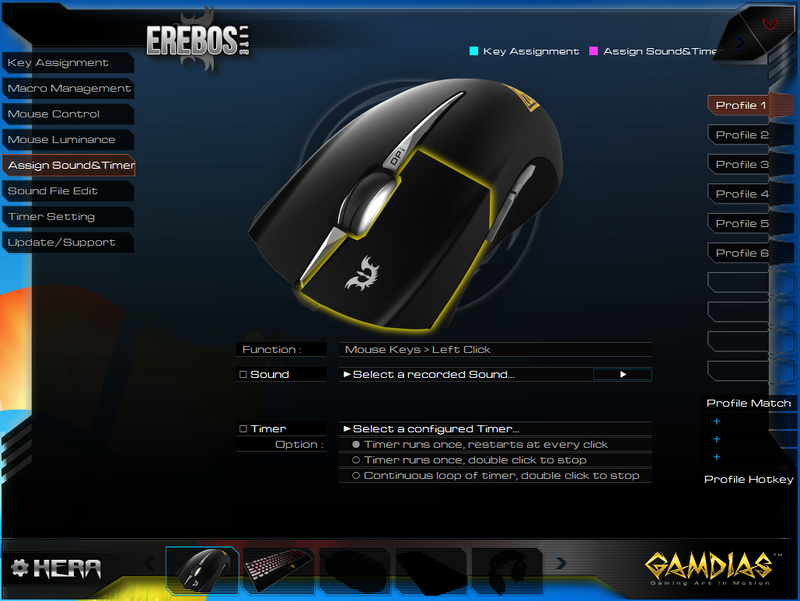 The Erebos weighs in at 3.0 oz and feels extremely light (though the weight is on par with many other mice). It also feels very nimble and is quite comfortable in the hand, it’s mostly ambidextrous as well. I like the feel of the mouse better than I liked the feel of the GAMDIAS Ourea mouse, mostly because it’s a little lower profile and fits my hand better. 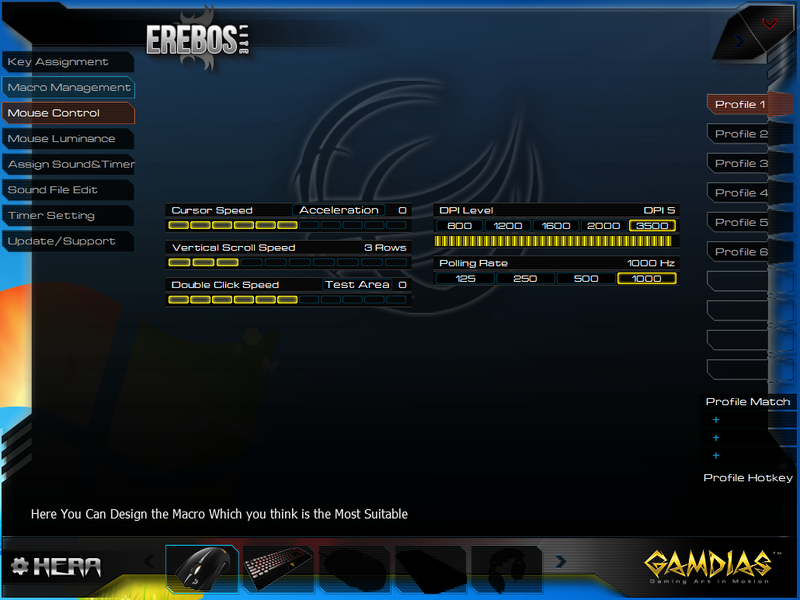 The Erebos also feels like it slides a bit smoother than the Ourea, something that I like a lot. Another nice visual feature of the Erebos mouse is that the two illuminated areas, the wheel and the GAMDIAS logo, are color matched so when you change the lighting color, both areas change. Something that just looks nice. 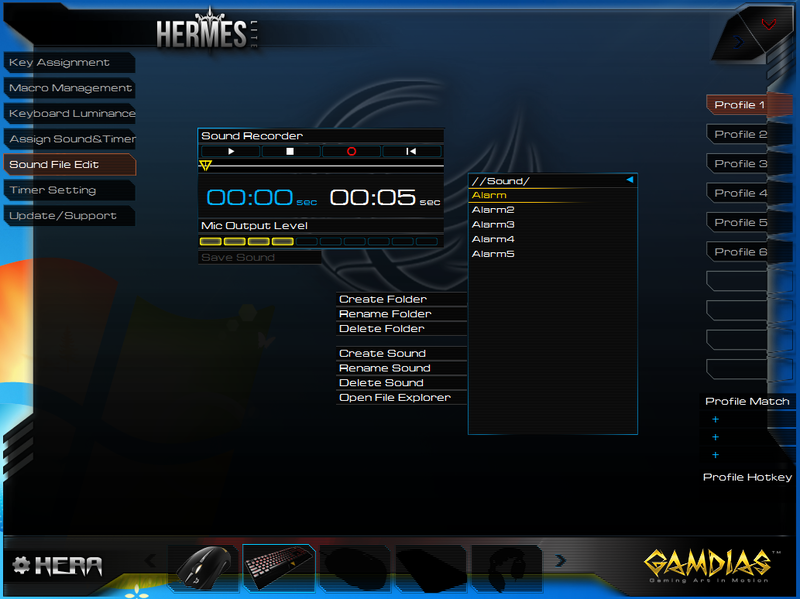 All of the GAMDIAS hardware uses the same Hera management application. 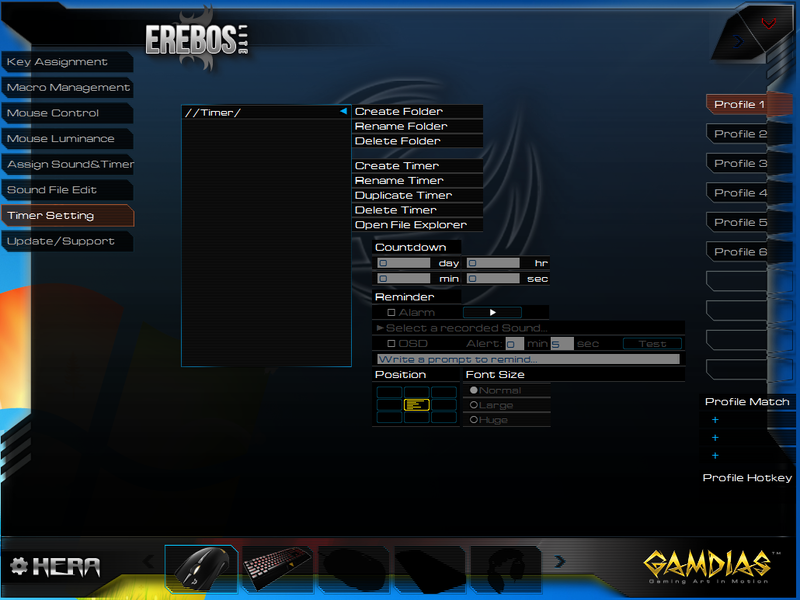 The software works and is pretty easy to use, I’ve found. Also, it doesn’t require an install to function. One thing I hate about peripheral companies is when they require you to install bad and bloated management software to use or configure their devices. 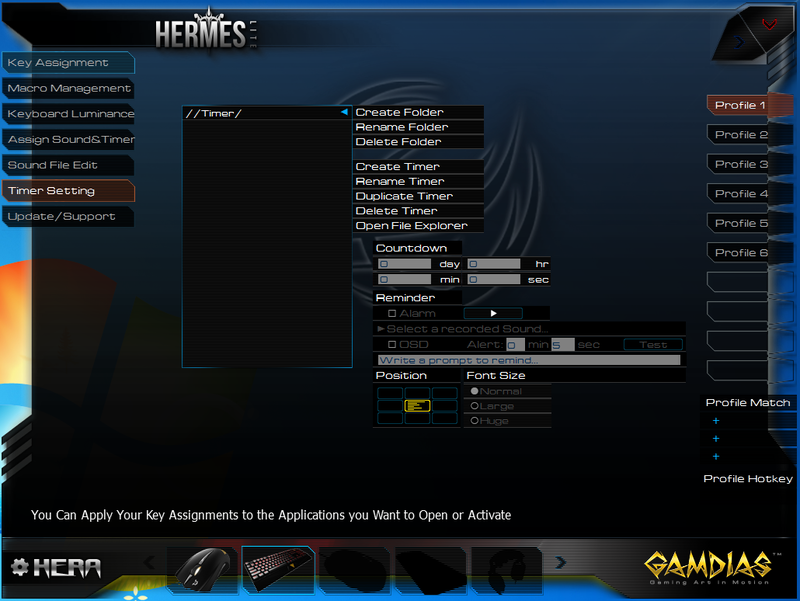 I don’t think the Hera software is anything crazy to write home about, but it works, and looks decent. Thus far I haven’t had any issues with it and it gets the job done. I’ve taken a look at a lot of GAMIDAS’s offerings over the past couple months and what I can consistently say is that they give you a really good bang for your buck. They offer solid products, that have a lot of functionality and are well made at prices that are extremely competitive. 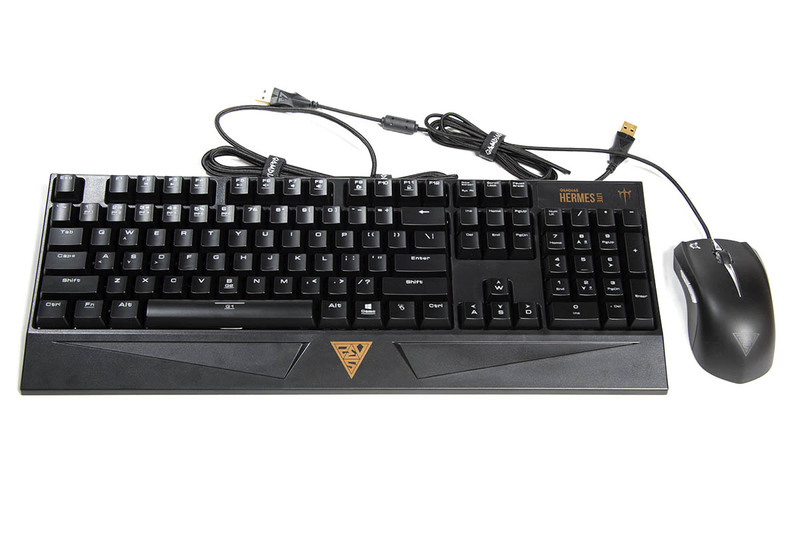 If you are looking for some new peripherals, a headset, or anything else that they offer, they are definitely worth a look. 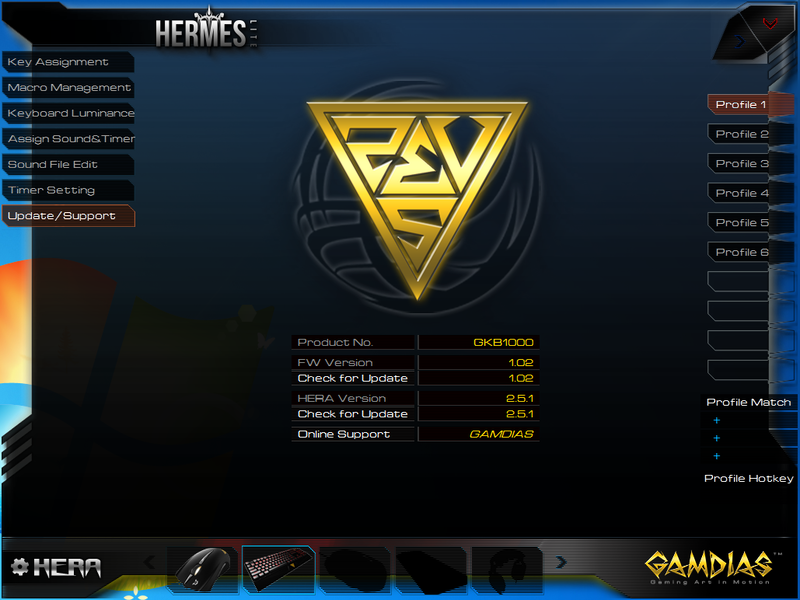 The Hermes Combo is a good package for anyone looking for an entry level, get me up and going package at a steal of a price. At some point you may want to upgrade the mouse, but otherwise, I think it’s a great starter package that is well worth the money.